In late 2017, the humans of Chubbs the Wampug (@chubbsthewampug) and Theo Chang (@theochang_thepug) decided to throw a #PugsTake event in Las Vegas. 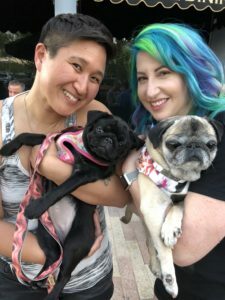 We had attended #PugsTakeChicago and wanted to bring together a fun, pug-loving crowd to Las Vegas and raise money for pug rescue. While in planning phases, we both lost our dear senior pugs. But anyone who knew Chubbs or Theo knew they would want the party to go on! So we moved forward with our vision, and we held an amazing party in April 2018. #PugsTakeVegas was a huge success! 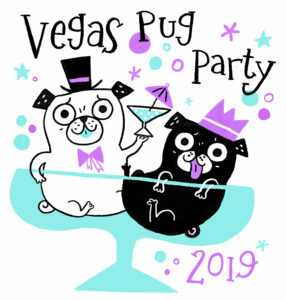 Not only did we raise over $7K for Southern Nevada Pug Rescue, but we made wonderful new friends and partied it up in Sin City! And The Next Generation, aka Saty and Zelda Sesame, turned out to be excellent pawty hosts! This year, we have decided to take the event in a different direction. 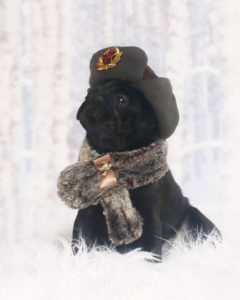 Think of it as a PUGCATION! Our Host Hotel will be the Lake Las Vegas Hilton- a world class resort! All events will be held on site. 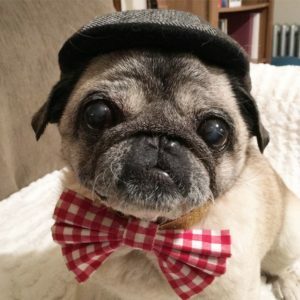 We want to showcase the talent of our pug artist and vendor community, help raise money for Pug Rescue, as well as have a convention of sorts so that we have opportunities to learn and share skills. 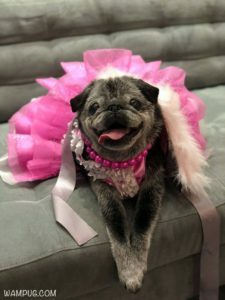 We want to give all pug lovers the chance to meet other pug lovers, meet some of your favorite internet pugs, and of course, we plan to party it up! 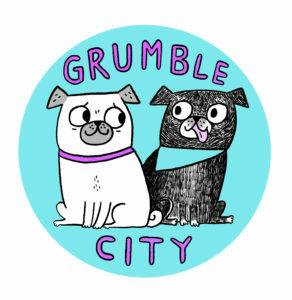 We are now Grumble City, and we plan to make the Vegas Pug Party an annual event! We hope you will join us in our adventures! 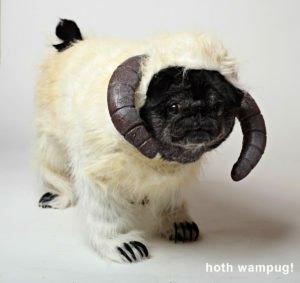 Chubbs the Wampug became an overnight “Internet Celebrity Pug” when her Wampa costume from Star Wars went viral in 2011- hence the nickname The Wampug. She was loved all over the world and took great joy in making people happy! She made getting “happy hairs” a great thing! She loved helping other in need and raised tens of thousands of dollars for various charities! 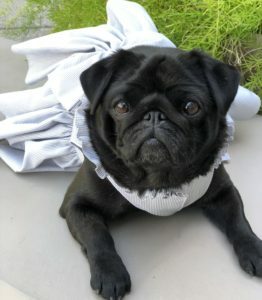 Her legacy of paying it forward continues with her Memorial Fund, benefiting Arizona Pug Adoption and Rescue Network! You can donate here. Baby Saty came all the way from Russia and landed just in time for Pugs Take Vegas in April 2018! She calls herself Ms Worldwide since she is Russian, German, Brazillian, and American. Best of all, Chubbs’ father is Saty’s great great great grandfather! Zelda Sesame Mochi Chang was adopted at age 4. She loves vacuuming and living on the edge.